The Coat Dots are small colored wooden balls that attach to the wall, creating cheerfulness all over the house. They can be placed freely or in line of three or more balls, and so can create attractive wall sculptures. 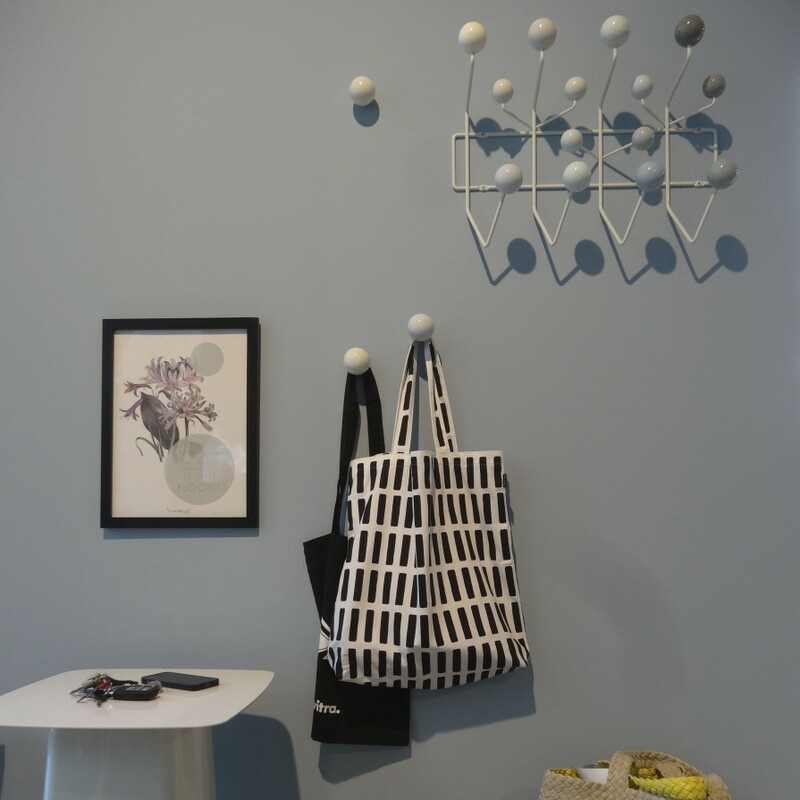 The Coat Dots can also serve as hooks: each ball is mounted on an expandable aluminum pin that can be pulled slightly away from the wall, thus providing a handy hook for coats, jackets or clothes hangers. With their bright and shiny colors, the Coat Dots are pleasing eye-catcher. They recall the coat hangers Hang it all designed by Charles and Ray Eames. As part of her work on the Vitra Colour Library, Hella Jongerius designed the Coat Dots in three colour groups with finely nuanced shades of red, green or white. The Coat Dots are available in sets of three, including hardware fittings for self-assembly. Product contents 3 balls, incl. screws and wall plugs for installation.